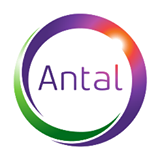 Antal International - Iasi Office is looking for a Recruiter to join our team. Your main tasks will be to source, recruit and match candidates to job requirements for permanent placement, in local and international market. • Developing long lasting partnerships with local companies to proactively identify staffing needs.